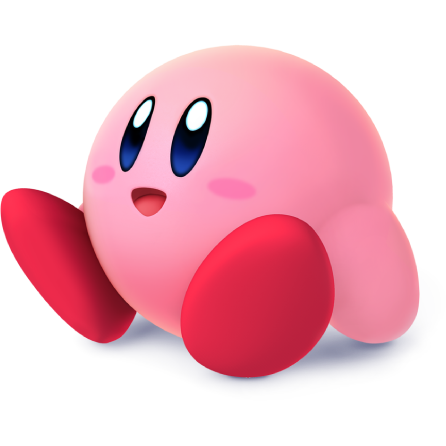 If one were to say to me “I’ve never played a Kirby game before” I wouldn’t be completely surprised, but what I would say is that if you like what else Nintendo has to offer then you’re missing out on something here by overlooking this little guy. The first Kirby game was released in 1992 for the Game Boy, created by HAL Laboratory lead by Masahiro Sakurai who today is perhaps more famous for his tireless work on the Super Smash Bros. series. The game was created to be quite simple so as to draw in even casual gamers but had an extra difficulty mode tucked away for anyone looking for more of a challenge. Kirby could inhale and swallow enemies and float around the stage using the air he has stored inside his elastic skin. The main character himself was never actually planned to become the star of the series. Initially the Kirby we know and love today was once a placeholder design while work on the game continued. Ultimately the world was thought to suit the pink cutie and so Kirby got to take the limelight. 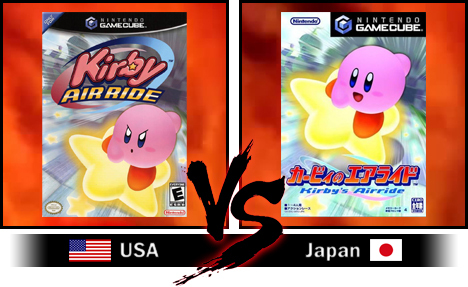 Kirby’s design is often marketed different between Japan and America. As IGN has pointed out here, in Japan he’s a happy go-lucky guy whereas in American he’s battle ready all the time. That’s not all. Kirby’s colour was once a hot debate too, Sakurai always envisioned him to be pink, Miyamoto suggested Yellow and North America was originally marketed a white one to match his appearance on the Game Boy screen. Kirby in clay! It was clearly always meant to be! Thus Kirby’s life began and the series still thrives today with over 20 titles released in his 23 years thus far on Nintendo consoles. While it is yet another platformer under the gaming giant’s belt, Kirby manages to stand out in a number of ways. Firstly Kirby has never properly entered the third dimension; unlike Nintendo all-star series such as Mario, Donkey Kong and Metroid, Kirby has stuck to his side-scrolling roots and shares this trait only with that of the Yoshi series. Secondly Kirby’s power comes from his enemies; ever since Kirby’s Adventure in 1993 he has had the ability to copy skills from the foes he digests. 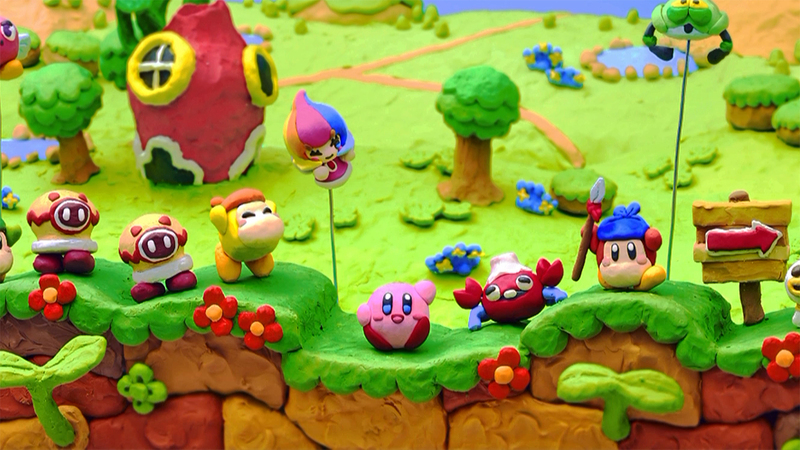 These aspects really help set Kirby apart from the other major Nintendo platformers while also keeping up its own original charm along the way, with some games utilising rainbow lines to control Kirby seen in Kirby: Power Paintbrush and Kirby and the Rainbow Paintbrush and others such as Kirby’s Epic Yarn and again Rainbow Paintbrush use Wool and Clay style graphics respectively to portray a unique artistic flair and design. However, some might consider that the release of a new Kirby game signals something else entirely for the console it appears on. The series seems to have adopted the interesting habit of being released games towards the end of a console lifetime. The first game notwithstanding, Kirby’s Adventure was released in 1993 for the NES, three years into the SNES lifetime and only 2 years before the NES was discontinued outside of Japan. Kirby’s Fun Pak and Kirby’s Dream Land 3 for the SNES were released only a few short months before and after the Nintendo 64 launched. Kirby 64: The Crystal Shards follows the trend by coming out only a year before the Nintendo GameCube and Kirby’s Epic Yarn and Kirby’s Adventure Wii were released not too far off the Wii U launch either. The series has featured more prolifically on Nintendo’s handheld throughout its history but whenever a console game is released many take it as a sign of Nintendo preparing to move onto the next console. With Kirby and the Rainbow Paintbrush only just coming out for Wii U a short 2 months before Nintendo announced their NX project it seems the trend is not stopping anytime soon. However this should not detract from Kirby’s achievements and it is perhaps only second to Mario for the number of genres the little guy has conquered, including racing, puzzle, golf and even a reasonably successful television series with Kirby: Right Back at Ya! The original game has also seen much love over the years, being remade partially in Kirby’s Fun Pak and its remake Kirby Super Star Ultra and being the only title in the series to receive 2 direct sequels by name. It was also one of the first titles available on the 3DS Virtual Console and was also featured in the Wii collection game Kirby’s Dream Collection alongside 5 others Kirby titles. 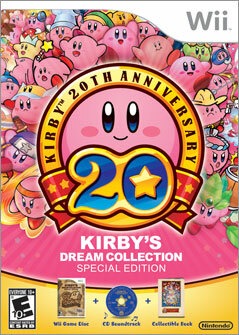 The game is a comprehensive anthology of Kirby’s platforming exploits from 1992 to 2000 and features additional challenge stages alongside a museum and episodes from the aforementioned Kirby anime. Ultimately perhaps the Kirby franchise will never be Nintendo’s number one priority and with much competition from fellow platforming legends it’s understandable why. But the series upholds enough originality and charm that it’s certain that Kirby’s future with the company is a bright one. Considering it is one of the few Nintendo franchises that haven’t gone on hiatus over the last couple of decades, it is very likely there’ll always be room for Kirby at Nintendo. If you’re still unfamiliar with the series or not convinced enough to give it a try then check out this video showing highlights from every game to feature Kirby in it. Kirby’s Dream Land introduced the world to Kirby and his nemesis King Dedede. 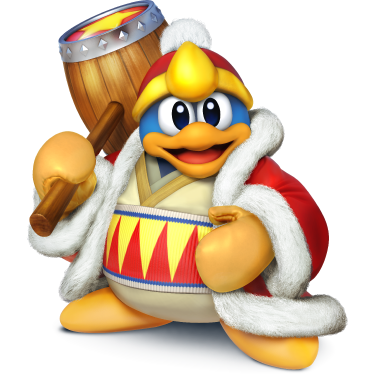 Kirby is a veteran fighter from the first Super Smash Bros. whereas King Dedede didn’t make it to the roster unitl Super Smash Bros. Brawl. That being said the character had been considered for the roster ever since the first game. The 3DS stage Dream Land is directly based on this Game Boy classic, with each of the 5 levels transitioning on from one another inside an original Game Boy screen. The stages Dream Land (64) and Green Greens in Melee also take inspiration from the first level of Kirby’s Dream Land and also feature the character Whispy Woods who has become a mainstay in the Kirby series. The items Superspicy Curry, Warp Star, Parasol and Maxim Tomato all made their debuts in this game (albeit the latter was referred to by the manual as simply a Bag of Magic Food). Lastly many of Kirby’s enemies found within this game have also become enemies in Super Smash Bros. including Bronto Burt, Gordo, Parasol Waddle Dee, Shotzo, Waddle Dee and Waddle Doo.